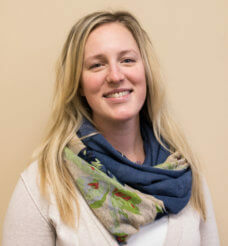 Lindsay Banachowski earned her Doctorate of Physical Therapy from Oakland University in 2012. Since that time, she completed an orthopedic residency (OMPT) through Oakland University and an additional orthopedic clinical specialist certification (OCS). She enjoys treating orthopedics, spine, pediatrics and sports medicine where she strives to give her patients quality individualized care. Lindsay is fluent in Spanish and enjoys treating this population. Lindsay also assists with teaching musculoskeletal/PT portion for 1st year medical students at MSU. She is also an adjunct faculty member for the Grand Valley State University Physical Therapy program where she helps teach advanced spine and clinical seminar courses. In her free time, she enjoys sports, yoga, outdoor activities and staying active with her husband and son.